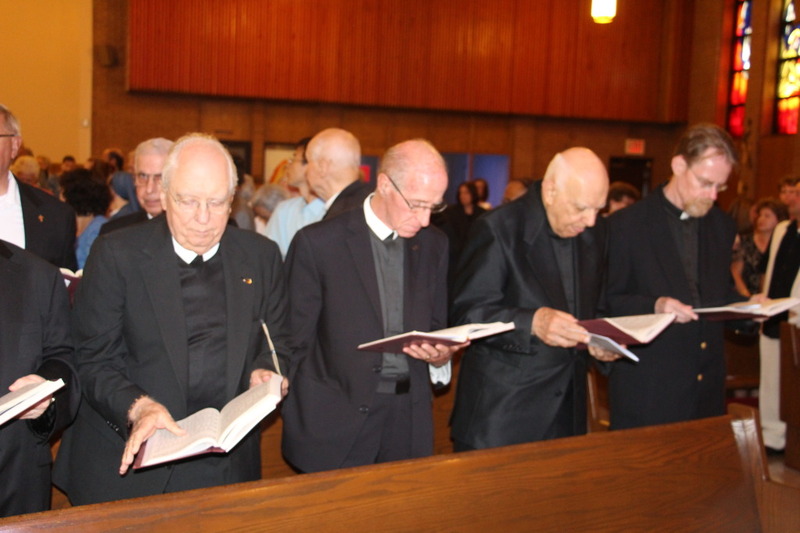 On June 29, 2014, members of the Pauline Family gathered at Our Lady of Pity Church on Staten Island to celebrate the 100th anniversary of founding of the Society of St. Paul. Fr. 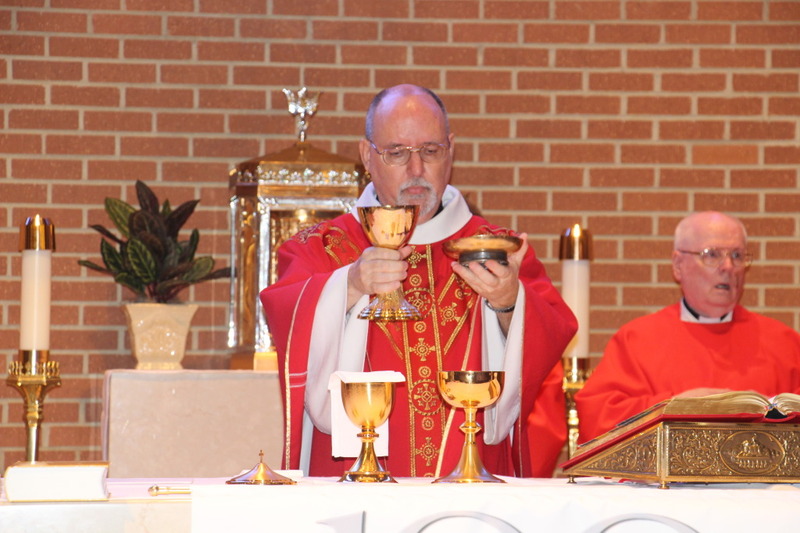 Matthew Roehrig was the main presider at the Mass which included many concelebrating priests, members of the Pauline Family Institutes and over 250 friends. In his homily, Fr. Roehrig emphasized the need for the Pauline Family to unite together to share the Gospel message. 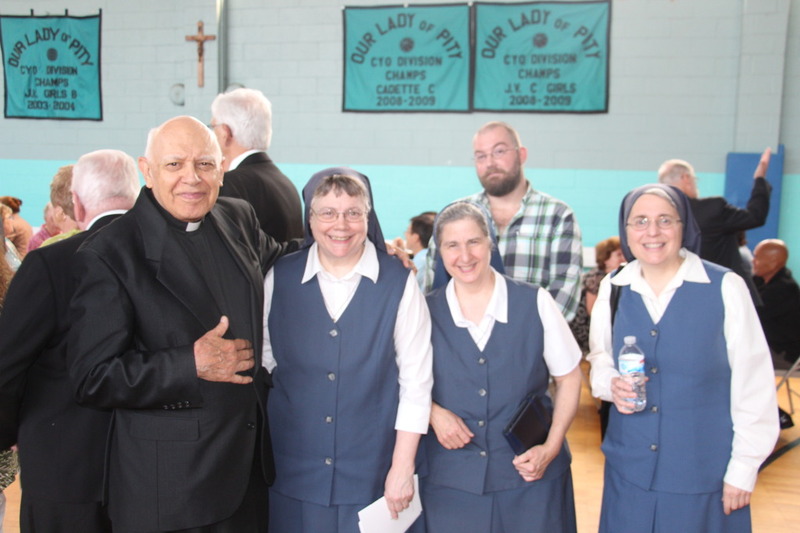 He challenged the Society of St Paul, Daughters of St Paul and Sister Disciples of the Divine Master to come to know the members of the Pauline Institutes. In turn those in the Pauline Institutes are to make themselves known to the rest of the Pauline Family. He also reflected on the Centenary Prayer to the Trinity for Our Hundred-Year Service to the Church. This included remembering the Pauline Saints and those who help found the congregations here in the United States. He concluded with praying for a new Pentecost and new graces to guide us for the next 100 years. 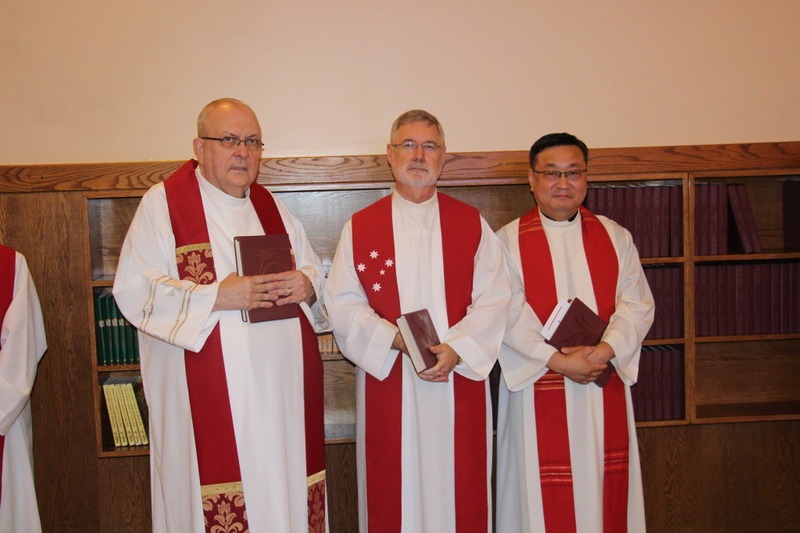 The mass included Prayers of the Faithful read in various languages, representing the multi-culture mix of the Society of St. Paul in the United States. 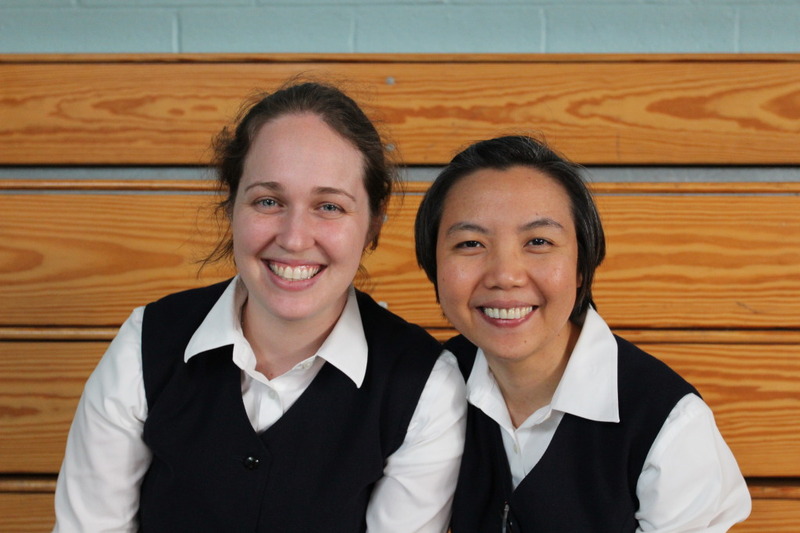 There was also a commissioning ceremony for the two members who will be sent forth to the new community in Chicago. Fr. 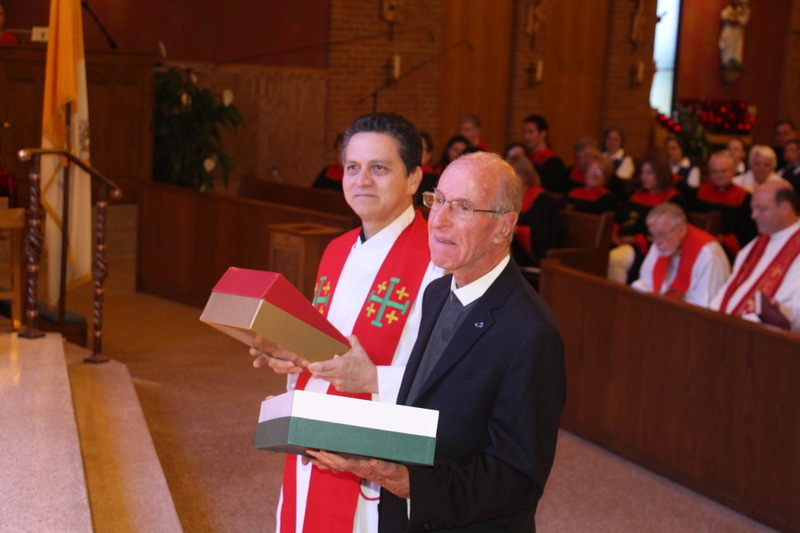 Archangel and Brother Peter being commissioned to open a Pauline foundation in Chicago. 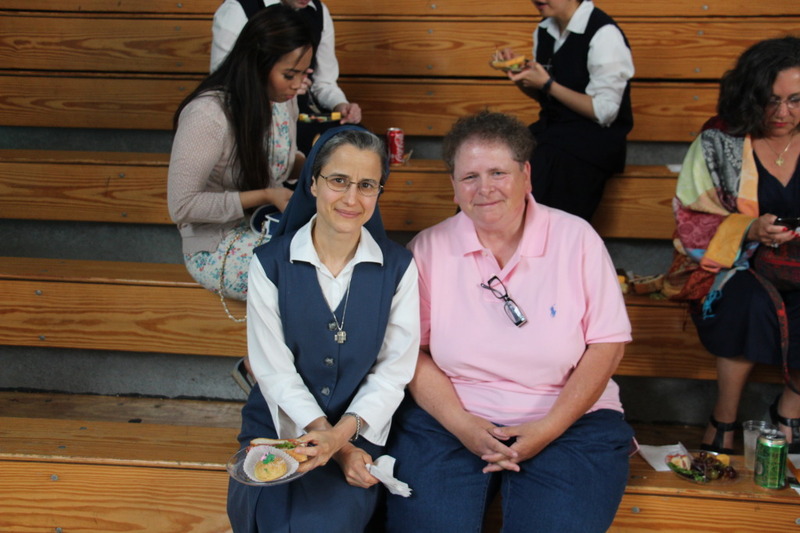 After the mass there was a time for fellowship for all those who gathered for this celebration. 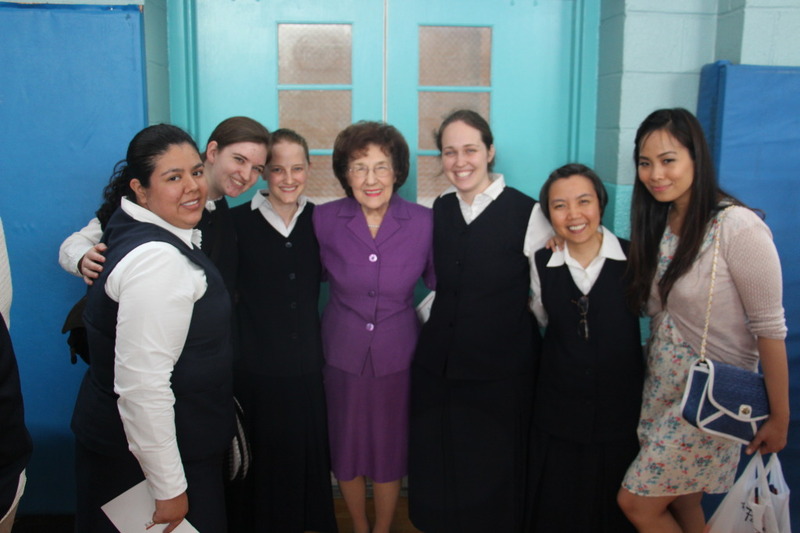 Sr. Carmen Christi of the Daughters of St. Paul with Marlene Rancourt, an Anunciationist.